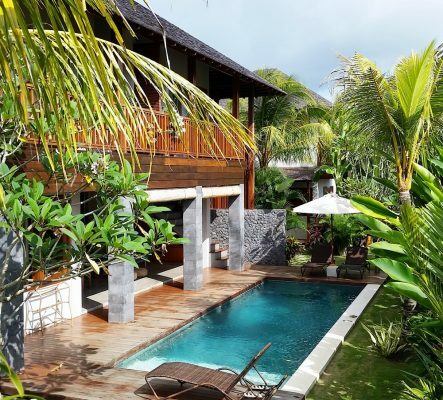 This 3 bedroom home for a musician-composer, holds a 150 sqm loft space as it’s 2nd floor, overlooking its lush surrounding of green rice paddies and coconut trees. 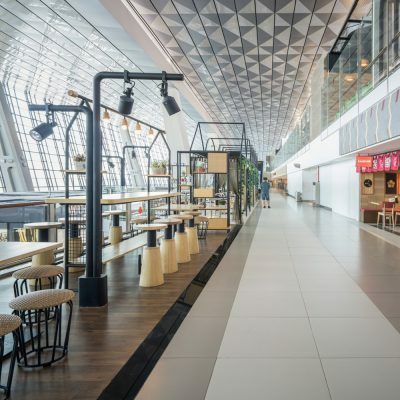 The T3 Ultimate’s public seating area was designed to respond to the needs of passengers who have to wait for their flight. With a direct view to the runway, they can sit comfortably while enjoying the view, or they can simply hang around with their gadgets for hours. 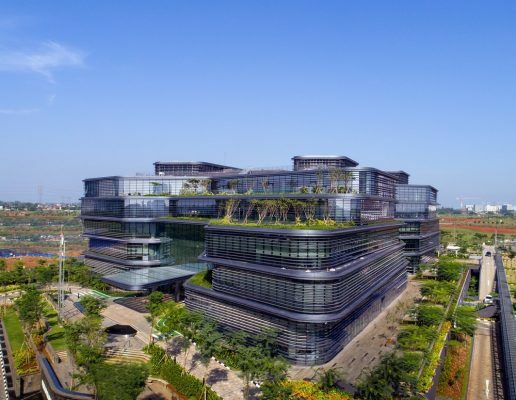 This new building is located the country’s first green office district which was also materplanned by Aedas. This new Unilever Indonesia office houses all employees from four separate offices in Jakarta under one roof. 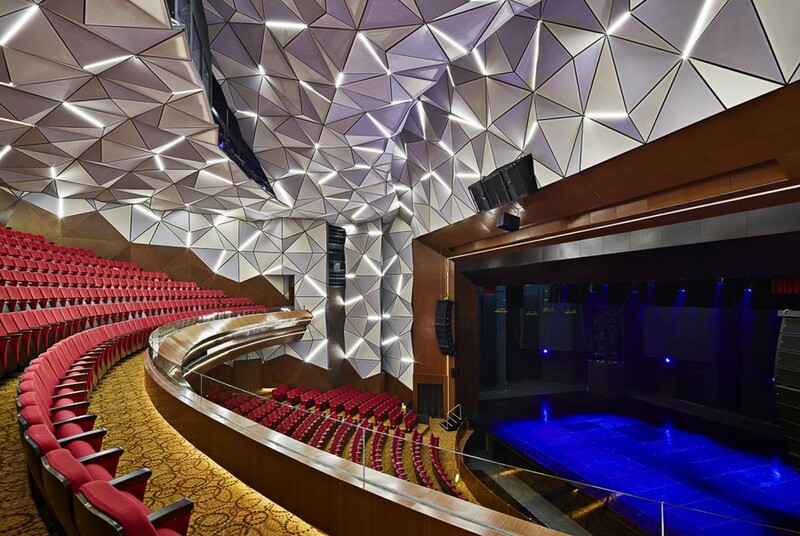 Aedas architectural and interior designs embody the global company’s vision, values and European heritage within the Indonesian context. Eager-learning students are hindered by the lack of facilities; libraries are far from being popular. The role of beautiful design can make libraries attractive again. 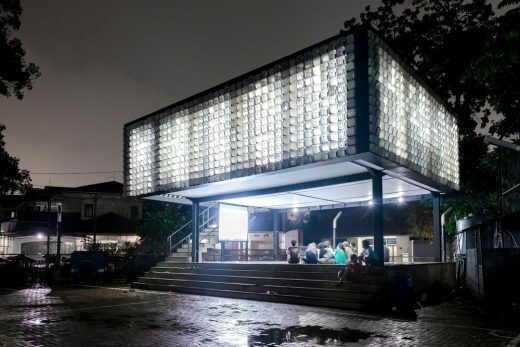 Instead of positioning libraries only in city centers, why not bringing libraries closer to homes? 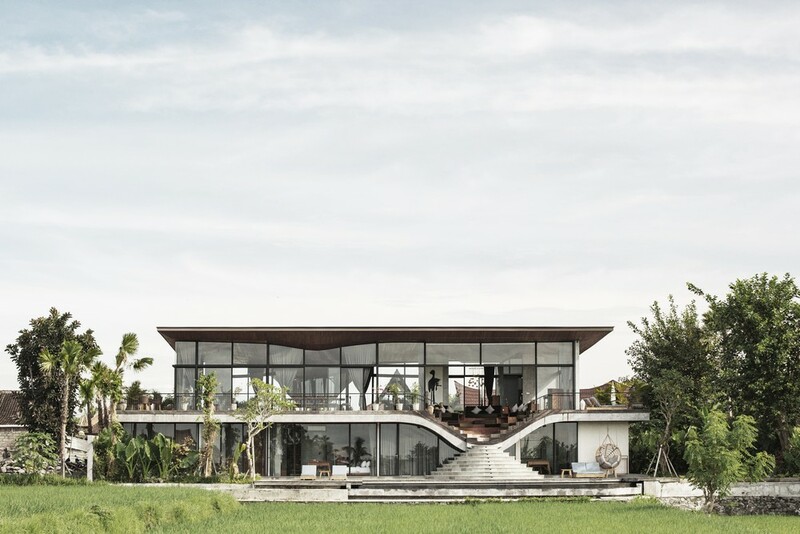 This house is located in Selong Belanak, the southern part of central Lombok Island in West Nusa Tenggara. It is 30 minutes drive from Lombok International Airport of Praya. The owner named it Seven Heaven Residence. 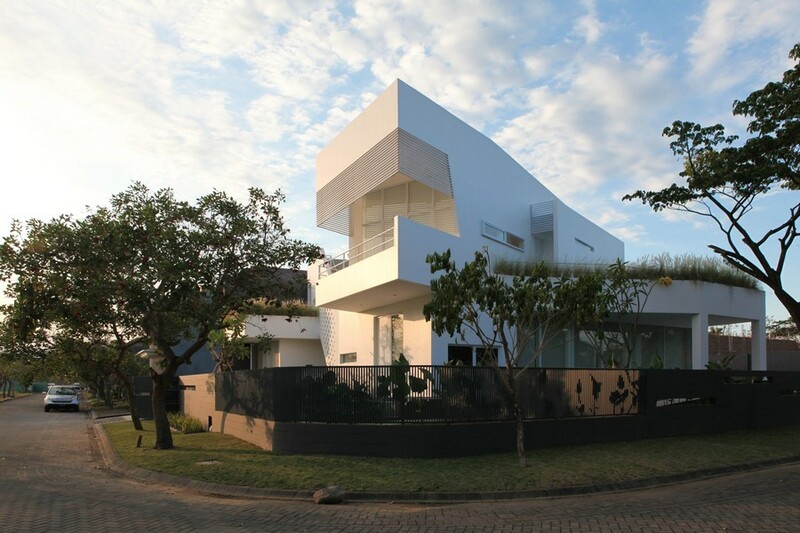 A residence for a young family of 4 in Surabaya. The site is a rectangular 464 m2 corner lot located in a new residential development in the west of the city, in a condition best described as semi-urban, where houses are grouped in clusters and share a party wall with each other. 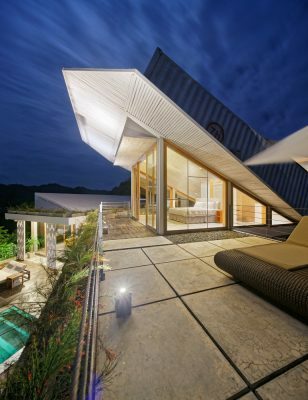 The brief for the design calls for a courtyard house with indoor-outdoor living spaces. 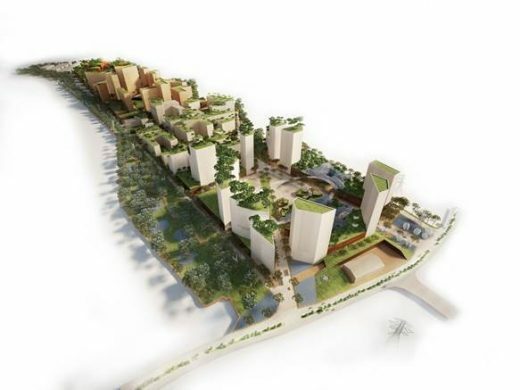 International competition win to masterplan the new 139ha campus for one of the most prestigious private universities in Indonesia, UNTAR University. Tatlin’s Tower was a design conceived by Russian architect Vladimir Tatlin, which was supposed to be constructed in St. Petersburg. The plan never came to fruition. Now PHL Architects have taken that design and revised it for the 21st century – Reimagined Tatlin’s Tower Jakarta Building. This architectural project is located in 6.5 Ha Payangan on an 35 degrees sloping hill of Ubud, sited on the real painting of Walter Spies and surrounded by the river famous Ayung. The project commissioning consist of Architecture, Masterplanning, and Landscape Architecture for 35 villas and 60 room of Boutique Hotel. 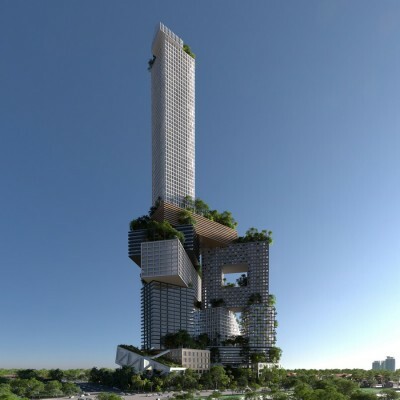 The tower is a 400 meter tall mix use project with retail, offices, housing, a luxury hotel, four levels of parking, a wedding house, a mosque, imax theatres and an outdoor amphitheatre. 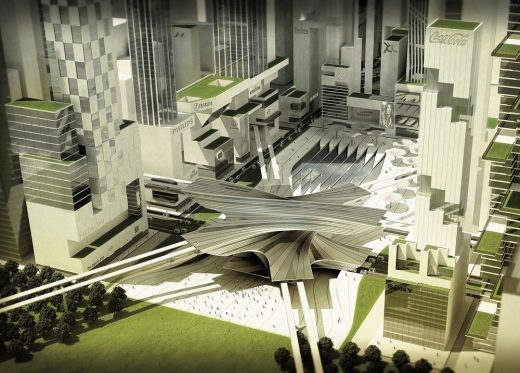 The design is for the developer’s bid competition for the prominent site at Jl. Palatehan 4 Jakarta. 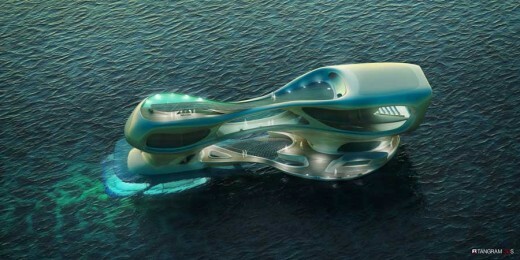 The 2500 sqm Marine Research Center building would be located 150 meters off shore from the of Kuta beach. It is an imposing fluid structure that seamlessly adapts to its natural aquatic environment and allows visitors and scientist to have a direct visual connection to the exterior. 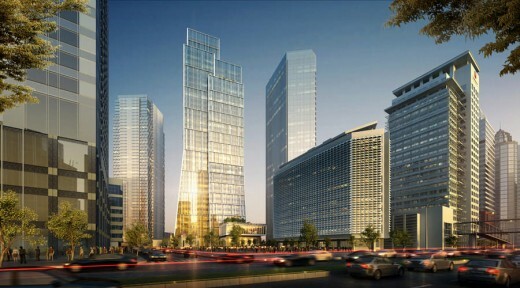 International architecture firm KPF announce the recent groundbreaking ceremony of the Sequis Centre Tower in Jakarta, to be Indonesia’s first LEED Platinum building. 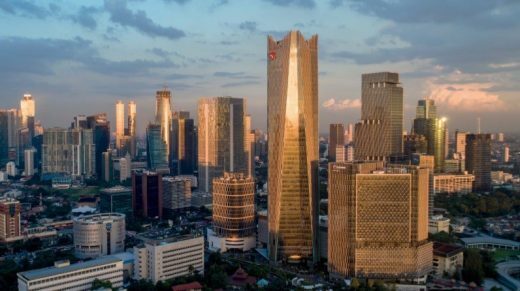 The Sequis Centre Tower paves a new direction for Jakarta’s future growth, not only redefining the CBD skyline, but also setting a new standard for sustainability within Indonesia’s burgeoning economy.